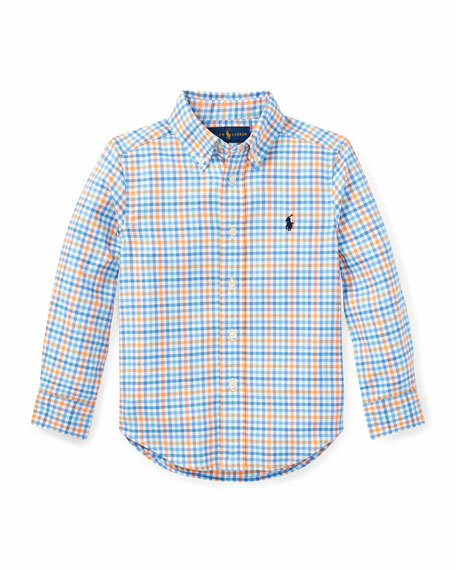 Ralph Lauren Childrenswear gingham Oxford dress shirt. For in-store inquiries, use sku #2528805. Band of Outsiders striped short shorts. High-waisted with button/zip side. Fitted. Unfinished hem. Cotton/spandex. Made in Italy. Model's measurements: Height 5'10.5"/179cm, bust 32"/82cm, waist 23.5"/60cm, hips 34.5"/88cm, dress size US 2. 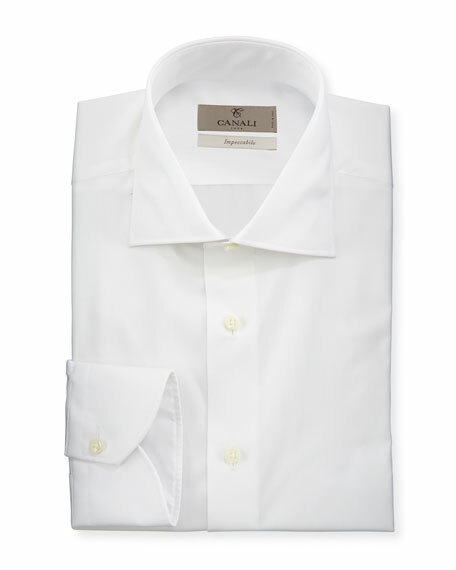 Canali dress shirt in solid-color weave. From the Impeccabile Collection: Contemporary fit, made from naturally crease-resistant fabric. Spread collar; button front. Rounded barrel cuffs. Cotton. Made in Italy. 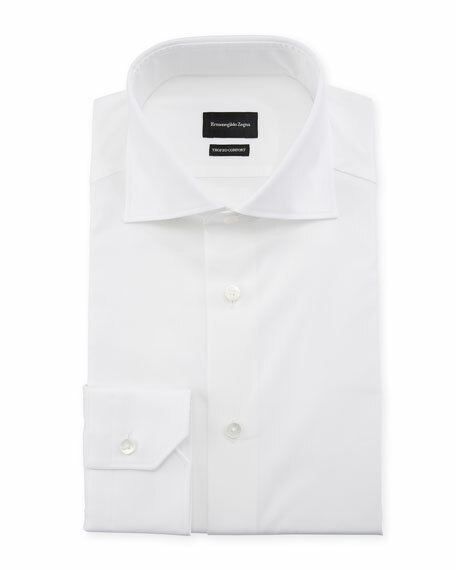 Ermenegildo Zegna 100fili solid dress shirt. 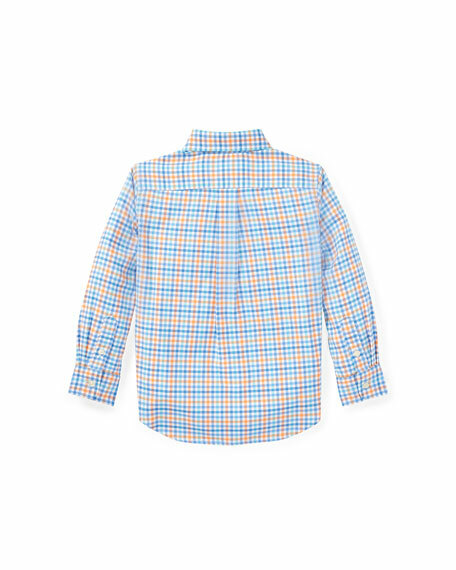 Peaked collar; mother-of-pearl button front. Mitered button cuffs. Cotton. Made in Switzerland of Italian materials. 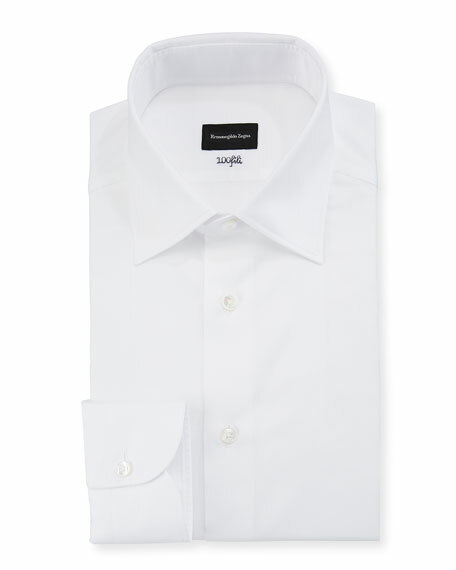 Ermenegildo Zegna "Comfort" dress shirt in Trofeo knit. Approx. 32"L down center back. Spread collar; button front. Mitered barrel cuffs. Cotton; dry clean. Imported.